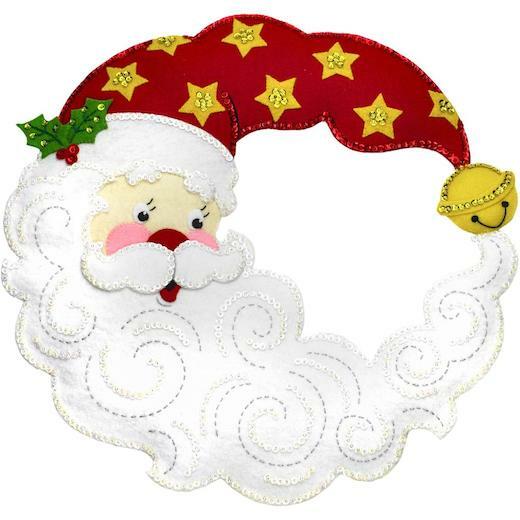 The Crescent Moon Santa felt wreath kit from Bucilla features a bushy-bearded Santa in wreath form. With intricate detail and festive holiday colors, Bucilla felt wreath kits are great for all skill levels and make a wonderful family tradition. The kit includes everything you need to create one 15x15 inch felt wall hanging: stamped felt, cotton embroidery floss, colour-separated sequins and beads, two needles and instructions.